The high altar of Seville Cathedral is the largest altar ever made and fits snugly in the largest Gothic church in the world. This masterpiece measures 20 m high and 23 m wide. 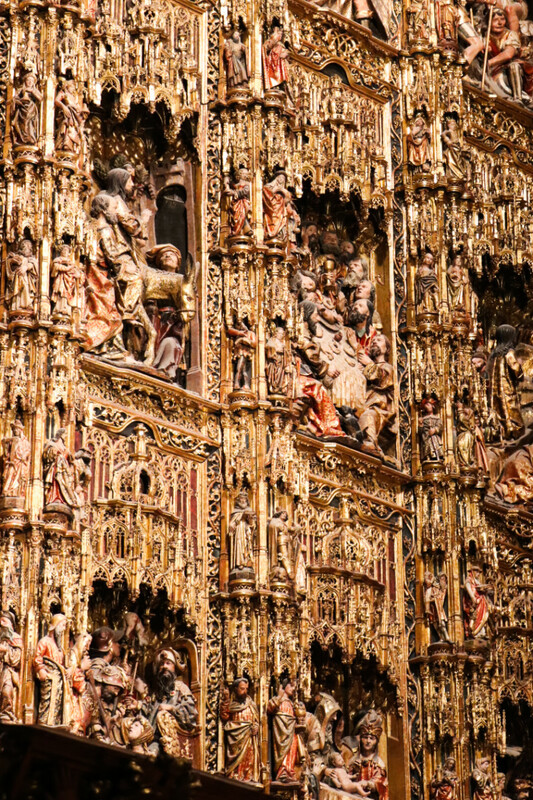 It was designed by Flemish artist Pieter Dancart in 1482 – the actual carving took around 80 years. Three tons of gold were used to decorate the altar. In 45 panels, the altar illustrates mostly scenes from the live of Jesus Christ and the Virgin Mary, to whom the church is dedicated.